Kazuma Kiryu and Kamurocho continue to be two of the biggest names in Japanese RPGs that remain exclusive to the Sony PlayStation (with PC releases gradually hitting the market). With over a dozen years of the Dragon of Dojima’s adventures, some of his earlier moments in the neon city haven’t aged all too well. To bring Kiryu’s adventures to a new generation, SEGA has continued its run of remakes of the PS2 days that bring Kamurocho into the modern age. Yakuza Kiwami 2 marks the return of Kiryu’s second story on PlayStation 2, and with it, a whole second city to explore. Yakuza Kiwami 2 provides the crucial branch between the Millenium Tower incident that marked the crescendo of the first Yakuza title and that of Kiryu’s quiet life tending the Sunshine Orphanage. After accepting and immediately stepping down from the position of clan chairman, Kiryu finds himself stuck on the precipice of all-out gang warfare between rival yakuza factions. 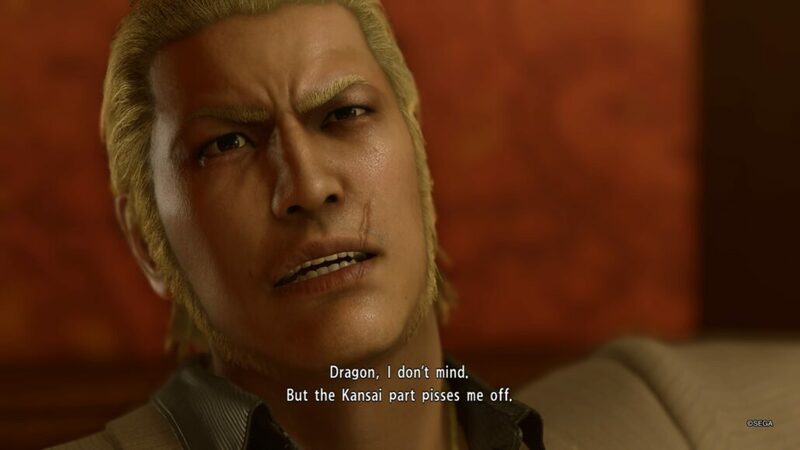 Just before an alliance can be struck to help preserve Kiryu’s former Tojo Clan, a hit is attempted on the Tojo’s fifth chairman and spirals out into a showdown with Kiryu’s most voracious opponent to date: Ryuji Goda, the Dragon of Kansai (longtime fans might recognize him as the scarred gentleman with a gun for an arm in the Yakuza: Dead Souls spinoff). 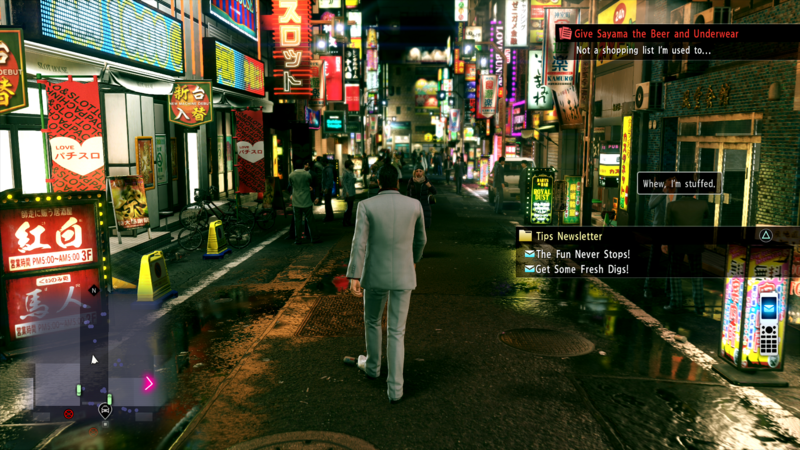 The streets of Kamurocho are once again available to walk through and see the sights in beautiful HD thanks to Sega’s proprietary Dragon Engine that Yakuza 6 was built upon. This is still very much a true-to-form remake of the second Yakuza title for PlayStation 2 but with a whole slew of new enhancements for the latest PlayStation generation. Everything from having playable chapters as Goro Majima to new diversions to soften this hardened crime drama brings new life into a JRPG series that’s about to celebrate its 13th birthday. All of this is wrapped into a package that once again puts Sega’s amazing facial tech to use and some of the most detailed characters and faces to ever grace a Japanese role-playing game. Kiryu’s potential for growth takes a similar form to the incremental systems of Yakuza 6. Every diversion and every bit of food that Kiryu consumes confers one of five different types of experience point. These points can then be exchanged for stat increases, passive bonuses, or new finishing moves and the player is mostly free to spend them as they wish for the most part. Much like Yakuza 6, the fastest method for character growth is gorging at the local restaurants and taking an AppStim or two or engaging in a fistfight to burn those calories. In a nice change from 6, Kiryu can once again equip breakable weapons, giving him access to guns and blades in addition to just a lethal dropkick. Minigames and side diversions are all a mainstay of Kiryu’s nightlife across the twin cities. 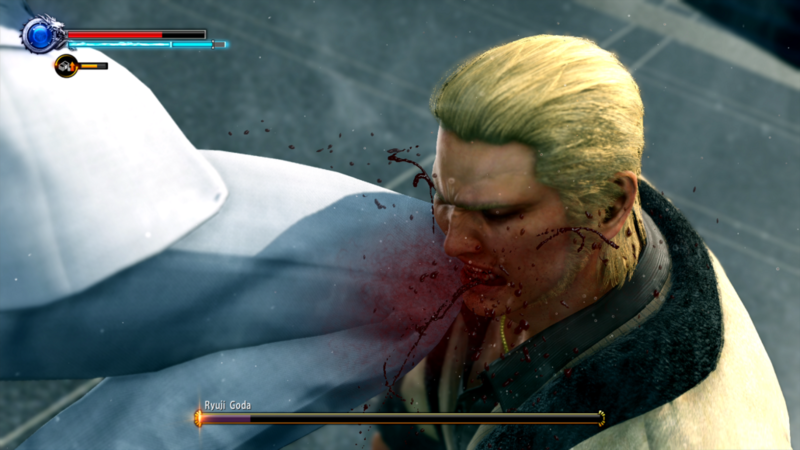 Whether you’re in the mood for some light arcade gaming and crane games, or games of luck at the casino, there’s plenty of items to check off your own personal completion list in Yakuza Kiwami 2. Many of the gambling minigames are just as time-consuming as in previous iterations (especially if you don’t know the first thing about Mahjong) but can thankfully be cheated through by way of unique consumable items that are best saved for the higher risk tiers of gambling. 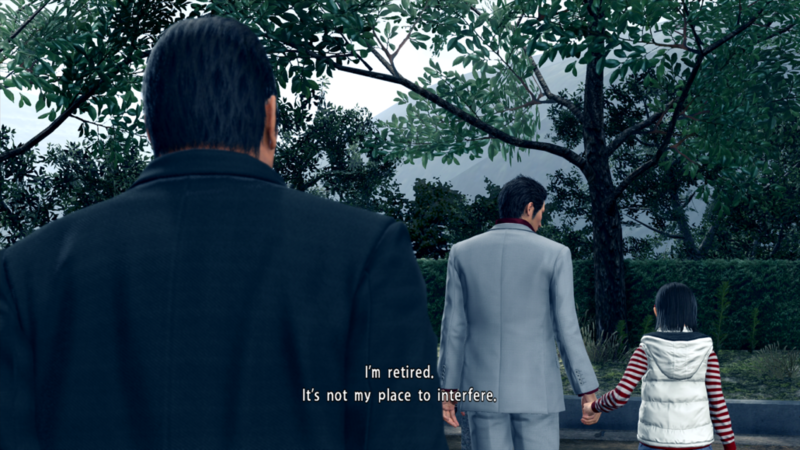 As a whole, the Yakuza series remains one of my favorite JRPG series of all time, but it’s gradually approaching the point of diminishing returns. Many of the minigames present in Yakuza Kiwami 2 have been available in previous Yakuza titles of the past year. The cabaret club from 0, the Majima Construction substory that feels eerily similar to 6’s clan battles (with a bigger focus on defense rather than offense) and even darts are nearly identical to the last few iterations of Kamurocho’s dazzling nightlife. 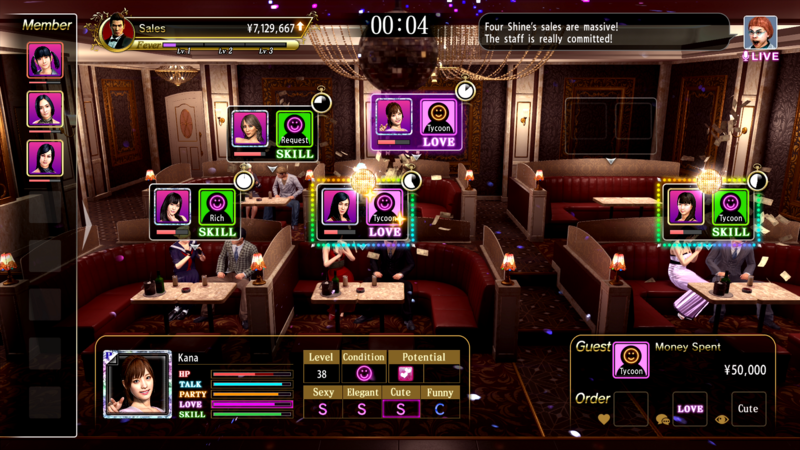 Compared to the original release, Yakuza Kiwami 2 offers some new mini-games (the cabaret club, revised golf, Toylets, photo shoots, and more in exchange for missing a number of the gambling mini-games as well as pool and bowling) that each feels more fleshed out than the PS2 release. Even so, the newer minigames, such as a frame perfect, 60 FPS version of Virtua Fighter 2.1 and challenge golf, provide a nice distraction from busting heads and wooing cabaret hostesses. If there’s one thing that Kiryu’s best at (besides being an absolute unit, of course), it’s playing the role of an oblivious white knight. 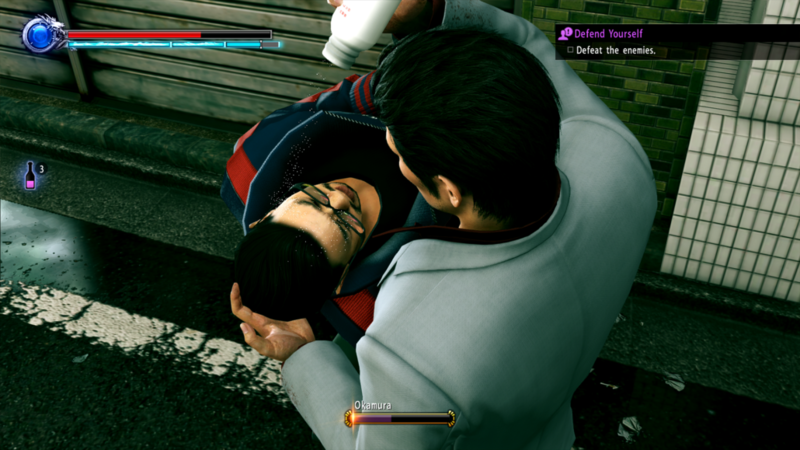 Much of the gags and humor are spared at the Dragon of Dojima’s expense and breath a bit of comedic relief into an otherwise serious tale of yakuza crime bosses and the price of betrayal. 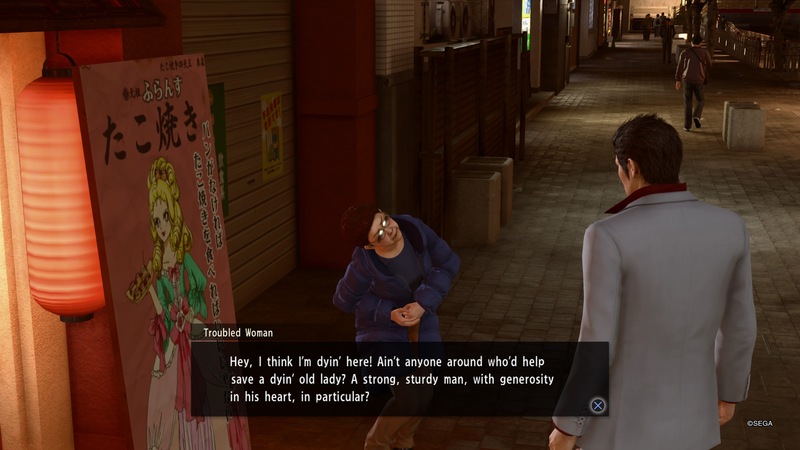 Sometimes just taking a step away from the action and strolling the side streets of Sotenbori can lead to a new side quest or person in need of assistance. If you’re lucky, you might even be rewarded with a unique finishing move involving a new tool of assault (nothing beats a scalding hot pot soup to the face). I may be harsh on the Yakuza series for being so similar to one another, but that’s in part because of the dedication of the localization team at Sega/Atlus for being able to turn around these series in such a quick and concentrated timespan. Those side streets between Tenkaichi and Pink Streets have been well ingrained into my brain after so many return trips to the city of night, but even in Yakuza Kiwami 2, there’s still something new and exciting to see. Until the enhanced versions of Yakuza 3-5 move from the third PlayStation onto PlayStation 4, this will be the last time for players to hit the streets of Kamurocho in search of a JRPG story that’s persisted for more than a decade yet it still feels great to get back into Kiryu’s shoes and protect the streets from thugs and yakuza alike. Whether you’re looking for a series yakuza drama or the offbeat antics of a badass that always falls into the straight guy role of a manzai troupe, Kamurocho once again welcomes players back with a little something for everyone. Toylets, gravure photo shoots, cabaret clubs and more!